The first up-to-date source to provide the UNIX system user or administrator with the information needed to protect data and system from unauthorized use. By following the procedures described, you can protect your UNIX system from most attackers. Learn to master the most valuable and useful command line tools for Unix and Linux based systems. In this book you will find not only the most useful command line tools you need to know, but also the most helpful options and flags for those tools. This book is a guide to Unix and Unix-like operating systems, such as GNU/Linux and *BSD. The book targets Unix or non-Unix users seeking background, Unix system users, and Unix system administrators (background and administrator instructions). This book covers all aspects of creating a character-based text editor. In the process, it discusses many aspects of creating a large application program including user interface, speed/memory/I/O tradeoffs, and many other considerations. Awk has two faces: it is a utility for performing simple text-processing tasks, and it is a programming language for performing complex text-processing tasks. 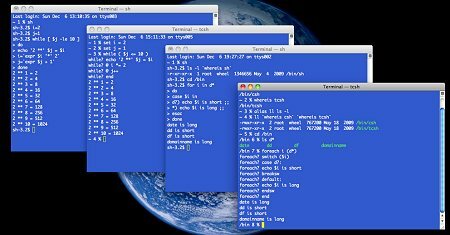 Awk is useful for simple, quick-and-dirty computational programming. Unix is an operating system designed for use on any kind of computer or computing device. It is a multi-tasking, multi-user system. Unix is also part of the underlying technology of the Internet. Many of the web servers run Apache under Unix. This book covers the practical aspects of using and interacting with the Bourne Shell, the root of all shells in Unix world. That includes interacting with the shell on a day-to-day basis for the purposes of operating the computer in normal tasks. The Motif Programming Manual is a source for complete, accurate, and insightful guidance on Motif application programming. There is no other book that covers the ground as thoroughly or as well as this one. The book has been updated to Motif 1.2. This book introduces the fundamentals of Motif programming and addresses wider issues concerning the X Window system. This is a practical introduction to writing Motif programs. The key principles are always supported by example programs. This book is not about tips and tricks, and it's not a collection of image manipulation problems. It is about understanding image manipulation concepts, about knowing which GIMP tools are most effective, and about the savvy use of these tools. The filesystem standard has been designed to be used by Unix distribution developers, package developers, and system implementors. However, it is primarily intended to be a reference on how to manage a Unix filesystem or directory hierarchy. This cookbook describes the fundamentals of writing scripts using the UNIX C shell. It shows how to combine Starlink and private applications with shell commands and constructs to create powerful and time-saving tools for performing repetitive jobs. This book explains how to use, customize, and program with MH electronic mail commands, available on virtually any UNIX system. MH is notable for its flexibility: you'll be able to do things you never thought you could do with an email program. A description of the features that are present in the Bash shell. GNU Bash is an implementation of the POSIX.2 specification, with additional features from the C-shell and Korn shell. Most Bourne shell scripts can be run by Bash without modification. A comprehensive guide to the Webmin system administration tool, documenting its features while explaining each of the core services. With numerous real-world examples, the book covers the standard system features and the most popular services. The book deals with the whole life cycle of porting, from setting up a source tree on your system to correcting platform differences. It discusses the differences between versions of UNIX and the areas where porters tend to have problems. This is a study guide for professionals wishing to prepare for the certification exam to achieve: IBM Certified Specialist - AIX V4.3 System Administration. It helps AIX administrators develop the knowledge and skills required for the certification. Useful concepts in the daily life of a Bash user. Basic shell knowledge is required. Discussion about common shell practices and building blocks, grep, awk and sed tools with more examples. The second part is about loops, functions and traps. This text progresses rapidly toward an advanced level of instruction, it is a textbook, self-study manual, reference and source of knowledge on UNIX shell scripting. The exercises and examples invite reader participation. Suitable for classroom use. The first part of the book is philosophy and history of UNIX, the second part unfolds the Unix principles into more specific advice about design, the third part focuses on tools for solving problems, and the fourth part is about community. The book provides a set of design and implementation guidelines for writing secure programs for Linux and Unix systems. This document includes specific guidance for a number of languages, including C, C++, Java, Perl, Python, and Ada95. Self-help guide for people affected by the world's most esoteric operating system. Turn here for answers to all-important questions, such as... Why does the online documentation lie to us? Why does the user's guide bear no relationship to reality?